UNITED NATIONS (Reuters) - The United States is focusing its efforts on defeating Islamic State militants wreaking havoc in Iraq and Syria but has not changed its position that Syrian President Bashar al-Assad must go, the U.S. envoy to the United Nations said on Tuesday. The United States and five Arab allies began bombing Islamic State positions in Syria this month. The group, which is also known as ISIL and ISIS, has seized vast areas of Syria and Iraq and is accused of massacres and beheadings of civilians and soldiers. "We continue to believe that the Assad regime is a magnet for terrorism," Ambassador Samantha Power told reporters. "The moderate Syrian opposition provides the best alternative to the Assad regime and the best counterweight to ISIL." "We did not see over these last years anywhere near the same effort by the regime to take on ISIL that we have seen by the moderate opposition groups at great expense for them, at great sacrifice," she added. Power said the moderate opposition has "engaged in pitched battles against ISIL" since December. She noted that Washington has concluded that Assad's government is neither willing to nor capable of defeating Islamic State, which she said had enjoyed a safe haven in Syria for a long time. 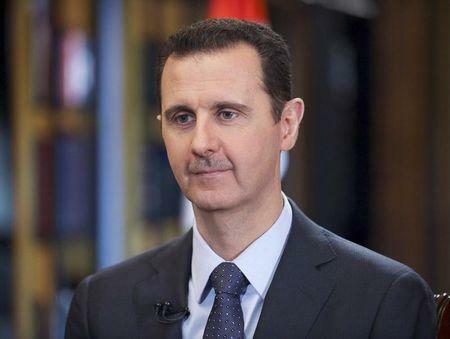 Despite the U.S. position that Assad must go, the current priority, Power said, is defeating the hard-line Sunni Islamist militants of Islamic State, an operation that diplomats and analysts say will benefit Assad's government in the short term. "We are focused now on the monstrous threat posed by ISIL," Power said. "This is a threat that has cost not only the lives of two American journalists but an untold number of Syrian and Iraqi lives, also by summary execution and by beheading and so forth." So far, air strikes by the United States and allies have failed to halt the militants' expansion into new territory. Islamic State militants have beheaded two U.S. journalists and one British aid worker and distributed videos of the killings on line.